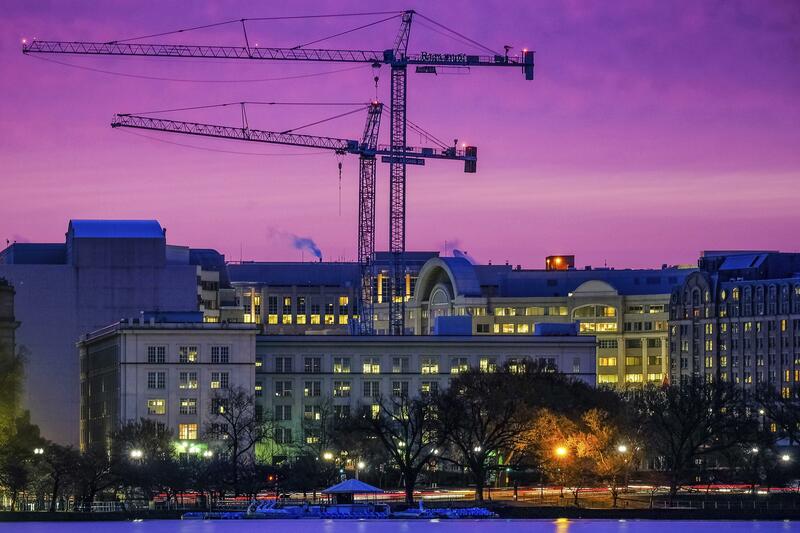 UPDATED: Mon., April 2, 2018, 3:37 p.m.
WASHINGTON – Spending on U.S. construction projects ticked up a mere 0.1 percent in February from the prior month, a sign that a growing economy is doing little to spur a more rapid pace for building homes, hospitals and highways. The Commerce Department said Monday that construction spending came in at a seasonally adjusted annual rate of $1.27 trillion. The lower unemployment rate and solid business and consumer confidence has supported an increase in hotel and office construction, but spending on roadways has slipped. Construction spending over the past 12 months is up just 3 percent before adjusting for inflation. Some of the sluggishness in February was due to a 2.1 percent drop in government-funded construction. But even the private sector has yet to fully perk up despite the 4.1 percent unemployment rate. Residential construction, the largest single spending category, rose just 0.1 percent in February. Homebuilders face strong demand from would-be buyers, yet there is a shortage of attractive land to develop and a dearth of construction workers. Private spending on health care facilities fell 2.2 percent in February. Spending on the power grid improved 0.9 percent on a monthly basis, but it has dropped 8.5 percent during the past year. Spending on factory construction did jump 1.2 percent between February and January. But the gains came after months of steady annual declines. Over the past 12 months, spending on manufacturing plants has dropped 5.6 percent. Published: April 2, 2018, 8:25 a.m. Updated: April 2, 2018, 3:37 p.m.